If people think that competition is such a good thing, why is there only one Google and one Facebook? Neither of these companies got to where they are by being completely evil, they did it by understanding both what their customers wanted and what their competitors weren’t giving them. In the dim and distant past of the 1990’s it was often hard to find out about how your competitors were running their business and how they were promoting themselves. I still have memories of salespeople for companies turning up at my Mother’s address to sell her industrial products because I had used her address to have literature sent to me to disguise my real identity. Market research on competitors was hard, now it is easy, they have websites and they use Google. Because companies use the Internet to promote themselves and openly tell potential clients what they offer it is easy for you to also learn about what they offer and to compare it to your own offering. But just a glance at their site is not enough if you want to understand things fully. You need a scheduled approach to this essential activity and here is what we suggest. Market knowledge is power. If you know what your competitors do, what they offer and how they ‘talk’ to your customers, you can work out ways to compete more effectively with them. When your customers come to you and use phrases or terminology that you recognise from your competitor’s sites you will be better equipped to respond. 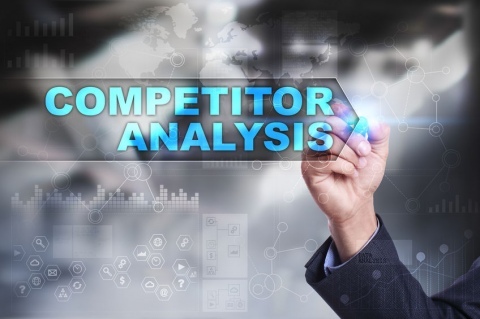 You know your business and how you do it, but by gaining an understanding of your competitors you are going to find that you have a more complete picture of the market in which you operate and this should help you to compete more effectively. Remember, compete doesn’t always mean offer cheaper prices, it means understanding the needs of clients and delivering them a solution effectively. Don’t just run your business with blinkers on, use the tools and the power that the Internet gives you and understand what your competitors are offering.